Waste management is one of the biggest challenges confronting many African countries. The issue of collection, management and disposal of solid waste still features highly in major towns and cities across the region. Failure to correctly manage waste disposal has often led to flooding and the outbreak of diseases. In Ethiopia, its largest rubbish dump Koshe was for almost 50 years, home to hundreds of people who collect and resell rubbish trucked in from around the capital Addis Ababa. It, however, made headlines last year when it killed about 114 people, compelling the government to rethink an alternative use for the site which is said to be the size of 36 football pitches. Ethiopia has since turned the site into a new waste-to-energy plant via the Reppie Waste-to-Energy Project which is the first of its kind in Africa. This forms part of efforts to revolutionise waste management practices in the country. The plant, which was expected to begin operation in January, will incinerate 1,400 tons of waste every day. This represents about 80 percent of the city’s waste generation. The plant will also supply the people with 30 percent of their household electricity needs. “The Reppie project is just one component of Ethiopia’s broader strategy to address pollution and embrace renewable energy across all sectors of the economy. We hope that Reppie will serve as a model for other countries in the region, and around the world,” Zerubabel Getachew, Ethiopia’s deputy permanent representative to the United Nations said in Nairobi last year. The waste-to-energy incineration plant will burn the rubbish in a combustion chamber. The heat produced will be used to boil water until it turns to steam, which drives a turbine generator that produces electricity. Waste-to-energy incineration is also vital for cities where land is in short supply, as apart from generating electricity, space will be saved and there is a substantial prevention of the release of toxic chemicals into groundwater, and reduction in the release of the greenhouse gas – methane – into the atmosphere. The Reppie plant operates within the emissions standards of the European Union, as it contributes towards alleviating air pollution. Waste-to-energy plants are already popular in Europe, as nearly 25 percent of municipal waste is incinerated. In France alone, there are about 126 waste-to-energy plants, with Germany having 121 and Italy having 40. 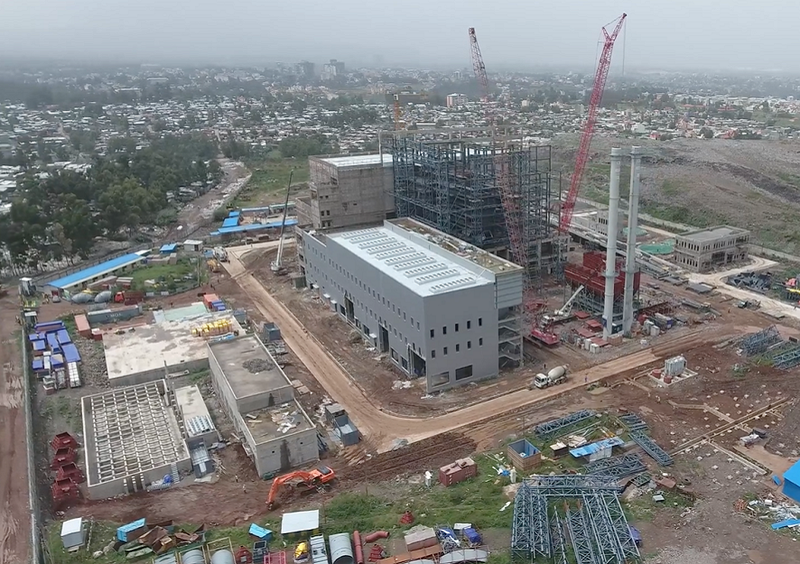 The Reppie plant in Addis Ababa is the result of a partnership between the Government of Ethiopia and a consortium of international companies: Cambridge Industries Limited (Singapore), China National Electric Engineering and Ramboll, a Danish engineering firm. The consortium is hoping that the project will be a series of similar ones in major cities across Africa.